Ricki’s Cookie Corner provides gourmet cookies, brownies, bread, cakes and more to grocery stores, restaurants, caterers and cafés across the country. Feel free to call or e-mail us at the bakery to discuss your specific needs. 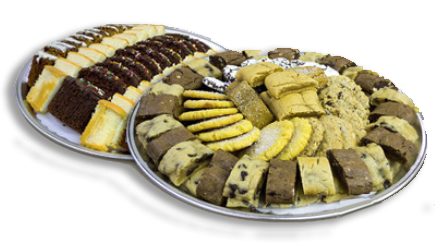 As well, please let us do the baking for your wedding, bar/bat mitzvah, birthday party, office party and holiday party. Call us at the store for additional details and to place your order.